House Democrats ended their takeover of the House floor shortly after 1 p.m. Thursday, a protest that began more than 24 hours ago. But they pledged to continue some form of protest when the House returns from the July 4 recess. 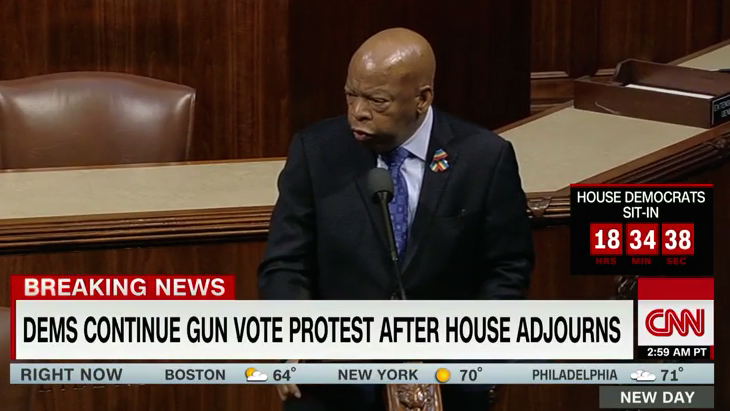 “We must come back here on July 5 more determined than ever before,” said Rep. John Lewis, D-Ga., who led the protest for Democrats on the floor.